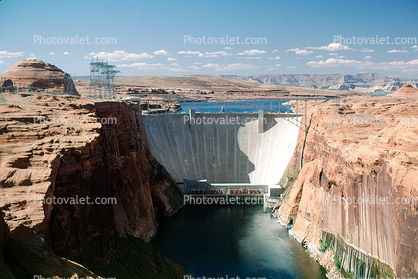 Behind the Glen Canyon dam is the artificial lake it created Lake Powell. This project has inundated a huge swath of spectacular Arizona and Utah nature including Glen Canyon. US Highway 89 is carried at the top of the dam.